Amitoos Services provides integrated business application solutions for small and medium size business companies. It was founded in 2008, with the mission of "Technology that Add Value to Business and Society", by a group of Technocrats. Every business, in all industries, has visions for success. One of the hardest challenges businesses have to face is to continually grow and sustain competitive advantage in fluctuating markets. As a diverse end-to-end IT solutions provider, Amitoos Services offers a range of expertise aimed at helping customers re-engineer their business applications and implement our products to compete successfully in an ever-competing business world. We are cognizant to the fact that behind every great vision for success and we thrive on assisting businesses towards achieving their visions by pursuing a proper mix of IT services with reliable implementation support. Our aim is to become one of the world's prime web and software development companies within IT diligence providing high-ranking services, products of the highest quality and latest technologies to clients from all industries all over the world. Amitoos Services Team understands the demands of the information age and has experience with .Net, php, Web Services, SEO, Window based applications. Amarish manage all strategy, productivity, quality, user experience, and marketing & strategic plans for Amitoos Services. His fascination is in building company and products that are ground-breaking in design and service, and focused on yielding cleanness and importance while creating an emotional attachment with their customers. With six years of experience in various roles ranging from business development to delivery service to customer, Amarish has developed a knack of understanding client needs across industry verticals. 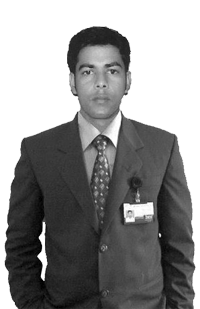 He is a MCA from BBDNITM, Lucknow and M.Tech from KSOU, Mysore. Earlier, he has spent the 1 year for hewlett Packard, India, and then started company in the areas of IT Development, social e-commerce, and strategy/design consulting.